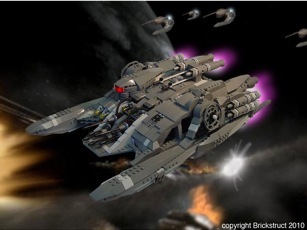 The HVYRDR-001 manual contains a 70 page guide to building this amazing organic recreation using bricks from your collection. 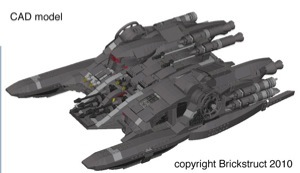 This is another big model, and keeps to scale next to the MK II and your minifigs. Detailed for to aft, it is loaded with features. The aft section opens in 2 halves, as seen in the show. Cargo compartment will hold gear and figs. 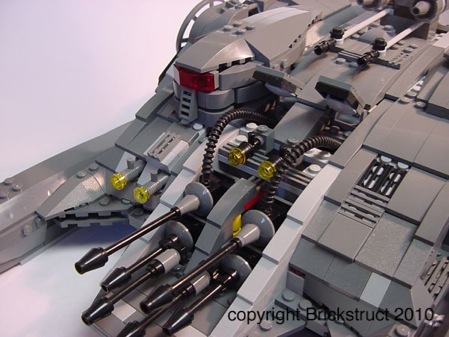 Underside details, as well as fully movable front cannons. All 4 main guns move independently. Moving ammo feed doors and retractable landing skids! 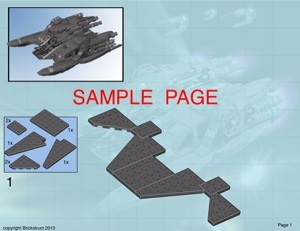 CD also contains a complete parts list of what you will need, and photo stills of the completed build.